Hey guys! I’m back again with my official 20th posted build! This system is a NAS I built for my home. I had been backing things up on an aging 2 TB external drive and I felt that it was time to create a better backup system as well as a simple file system. I’ve worked with SANs in RAID 6 at my work and it gave me the itch to give RAID a shot. I chose a software RAID 5 for this system because I didn’t want to spend a ton of money on a RAID card, I don’t require all out performance, parity is important to me, and this will mostly be read from. Most of these parts were actually intended for a different project, but I will go through each one later. The Pentium G3258 was intended to be used in a mobile gaming PC. I had intentions to overclock the living crap out of it for science, but I have found that it works great for my NAS. Since I run this 24/7 it makes me feel better that when I’m not using it, it consumes very little power. This board was also intended for the mobile gaming PC. I bought the Z97 to overclock the G3258, avoiding complications with the other chipsets. It ended up working perfectly as it has 5 SATA6 ports. As far as the board is concerned, it works for what I need it to do. It supports RAID 5 and has the necessary SATA ports. This kit was again for the mobile gaming PC. I don’t think that I really need 8 GB for this application, but a little extra is never a bad thing. I have Windows 8.1 Pro loaded on the SSD. Boot times are excellent and encountered no hitches during setup. I did need a flat SATA power extension for the bottom mounting position, but those are cheap. I went on and on for days about which drives I was going to get for the RAID. 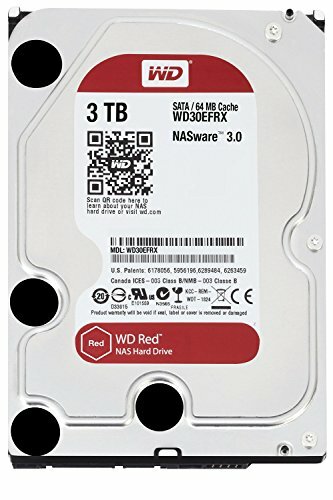 I looked at WD Red Pros, then Seagate REs, then back to Pros and finally landed on the standard WD Red. I originally planned for a 4x4 TB array, but opted for the 4x3 TB array to save some money. All in all I end up with 7.26 TB of storage for “All the Things”. The array runs idle around 28C and roughly 34C at full load. I loved this case from the moment I saw it. This thing is a dust filtered fortress, which is one reason why I’m using it for this build. I also love the dual chamber design with room for up to 8 3.5” drives that are out of sight. Cable management was rather simple and the built in fan controller is a great addition. I just wish the fan controller was in the rear chamber instead of the windowed side. After moving a fan around and getting the drives installed, the available room disappeared pretty quick. I only wish I had something to fill in the empty looking windowed side. I run the fans on the medium speed settings and can’t hear it above the ambient sound. This was a Christmas gift that I have been trying to find a home for. It was going to power my portable gaming system, but it was right at home here. The only problem was that it only came with two SATA power cables with two connectors on each. I needed 6 connectors in all. Luckily a cable from my Corsair HX850 worked like a charm. This PSU is fairly small so making it work in the rear side with all those drives was no problem at all. I’m very happy with my NAS system. It allows me to expand my multimedia collection beyond its’ restricted state and makes me feel better knowing I have a legitimate backup system. The building process went fairly smooth with a small hitch or two in regards to the available connectors, but all in all it was a great success. With all of my systems attached to a gigabit switch I am getting those satisfying network transfers. This machine has been running 24/7 for almost a month and I have to say that I love it! I am running a Plex server from this system now and I have to say that it is the great! Streaming my movies, music, and pictures on the go is pretty cool. Pam doesn't have any issues with hosting the server. She's rock solid. Check, check, check, and check. All goals complete. You sir, are a computer wizard. Skemble.. the man who can make a network storage system look sweet. 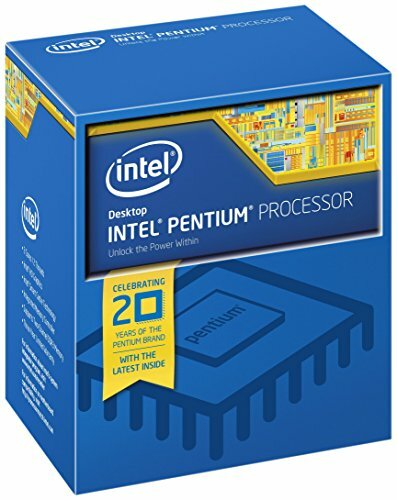 I am getting the Pentium as a gaming PC (So I don't have to buy a new mobo when I upgrade to an i5), you use it as a server... Why is the world so mean to me. I'm confused, what do you mean by this? those micro shoots are sweet. A Nikon D3200 with stock lens. I love it. Makes me want to build something similair. Hahaha! Do it! I'm so glad I did. Having all the extra space is so handy. I am gonna be a negative and complain about parts in Poland. 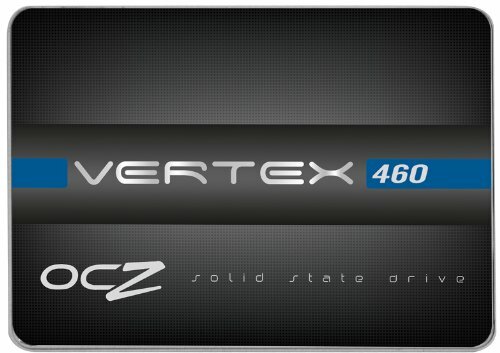 THis PC would cost me more than my main rig with the curent prices. A shame to be honest. Hi sir.. may i know what is exactly advantage of WD red? its just most suitable for RAID?? Reds are different from Blues and Blacks in that they are designed for NAS environments. They are built to withstand vibrations and last a lot longer running 24/7. Here is a nice article with more detailed information. Very surprise when saw you already share 20 build in here.. Its show you are very professional in build PC.. very nice.. Last month i just bought 2tb wd black and hopefully can stand more longer because my experience bought wd blue for last 5 years show health of hdd is 60%. need to backup as posible before death. anyway very nice for your build. The legend has returned with his 20th build! Congrats! And I have to agree with bgiunt4... Teach me your ways! Yeah, I really want him to look into it. If he got the same Pentium chip as you did and a cheap GPU it would allow us to do our usual movie/TV show watching as well as playing some low-end games! I actually wouldn't mind playing a game such as Dota 2 in the lounge room. 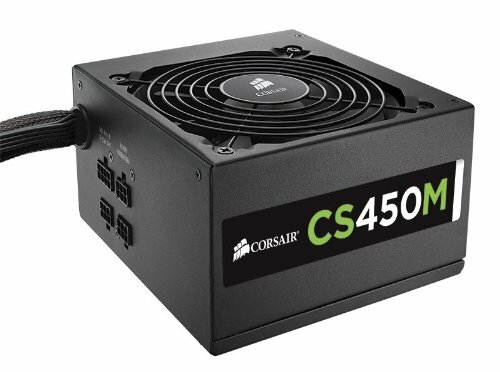 EDIT: Do you think the integrated graphics on the G3258 would be able to run some low-end Steam games? Sorry, I'm at school and all the benchmark websites are blocked. I think the integrated graphics would run a few games at low settings like DOTA 2. You could get a GTX 740 or R7 250 to satisfy the 60 FPS needs. Thanks, I'm waiting for the case to come down in price and I'm going to move my whole File server into it. Again, I'm jealous. Such class for such a utilitarian build. Nicely done, again! Skemble, thats so great you gettin all this business doin these builds for people. You always do a great job and take great pics. Keep it up brudda! This one is actually for me, but thanks man! I always love to hear the feedback! Thank you! :D I'm glad you like my work. Hopefully I will have a few projects coming in the next month or two. No 3DMark 11? Just joking and Amazing build.Maybe a bunch of 6TB HDD'S would have been better. Haha! Thanks man! I would love to put 4x6TB drives in this, however I don't have the money to spend on that much storage. Plus the storage space is 99% for me and I don't have that much. Should get my by for quite a few years. hi awsome build iv got a question would a pentium G be enough for streaming and backup? i would be using a max of 5 devices streaming movies and tv shows from plex regularly all from inside my network. I would also be running FreeNAS on it off a flash drive. here is my build have a look http://pcpartpicker.com/p/f6cpsY . I am curious to how the G3258 preforms in a NAS environment. I have heard to get the most out of a NAS system, a Xeon and ECC RAM are necessary. What do you think? 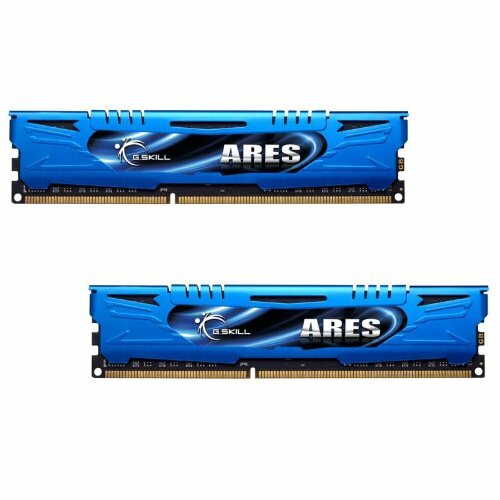 Do you think the price difference is worth it for the performance gains? The Pentium is actually fairly solid. I'm the only one using my NAS so it doesn't really require a whole lot. It also does a solid job with a few concurrent Plex streams. If I had the money I would grab a hyperthreaded Xeon, but it's not really needed unless you have several users on your NAS at the same time. I did not have any issues. It actually made cable management a bit easier, at least in my case. You shouldn't have any problem with mATX cases and mITX boards. 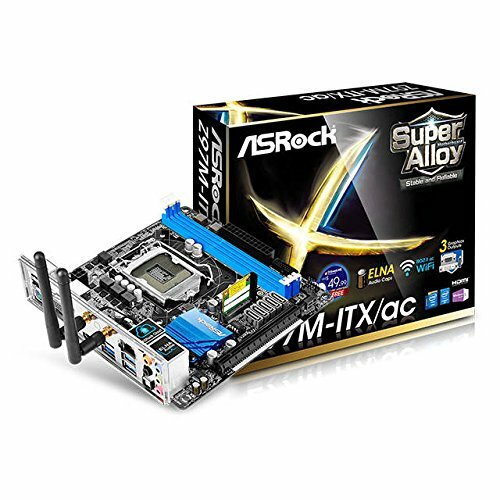 Don't forget you can always get a wireless card and put it on a mATX board. There is an optical drive spot, but it's a slot load style. They are pretty secure. You shouldn't worry about them falling or vibrating around. Thank you sir! I appreciate the kind words. I'm using it in the simplest sense of the word streaming. I have my HTPC (Leonard) running XBMC looking for movies, music, etc. on the network drive that is this computer. Any time I add new movies it automatically updates them on the HTPC. I considered using PLEX specifically for streaming outside of my network. In the end I took the easy way out, but I'm familiar with XBMC and I use a lot of the add-ons. Praise thy Lord GabeN. This is amazing. That was almost too easy to setup. I'm currently watching a movie on Pam, on my phone, in the office at work. Now to set aside $150 for the lifetime awesomeness. I really appreciate the nudge in the right direction!